Transformers are primarily used to adjust, convert or regulate the voltage. They also allow for changes to current, impedance and provide isolation. This allows downstream systems to be designed for the same main voltage configuration no matter where in the world they are operated. Just one autotransformer, that is considerably smaller than transformers with the same output, is required for easy and effective voltage adjustments. Block solutions are developed for the control cabinet. The size of the electrical cabinets and components are constantly being pushed to reduce their size footprint. This then increases the amount of heat generated from the devices in the system. Therefore, highly compact spaces can really test the lifetime of the electrical components. We have developed a 3-phase transformer/reactor combination that guarantees the smallest possible sizes and energy to heat coefficient through special designs featuring cooling slots integrated with the windings which dramatically increases performance. Quality – We have been developing and producing transformers in accordance with European and American standards for 80 years. Our transformers are subject to 100% testing and have the highest quality standards. 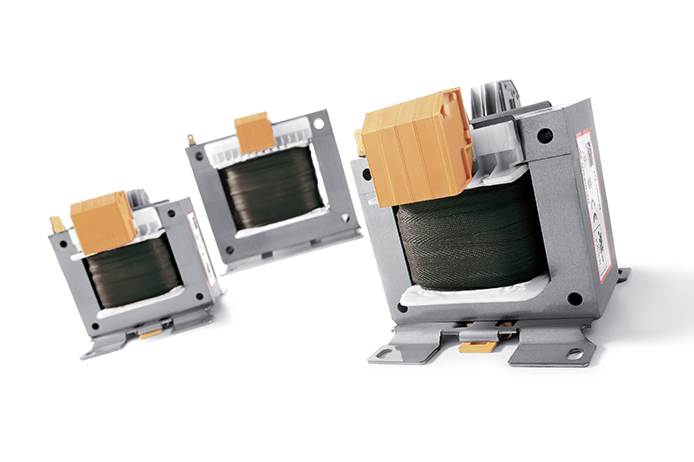 Flexibility – Our customers’ application areas extend over “all” electrical industry, which is why we provide transformers in a wide range of standard and custom designs. Block offers application consulting to deliver transformers that are the perfect fit for any customer requirement, irrespective of the quantity required. Reliability – Sometimes a quick solution is needed, e.g. with a system outage or for changes on short notice. We help by having a wide range of standard product available from our warehouse in the USA located in Franklin Park, Illinois as well as distribution partners across the globe. Our development and manufacturing centers are located in the USA, Europe, and Asia. The power supply is the building block of any electrical system. Block is committed to providing you with efficient power supplies, custom fit for your system and your needs. Each unit is compact and combines high performance with diverse functionality for use in solar, measurement and control technology, the medical field, and much more. BLOCK is also one of the largest manufacturers of switched-mode power supplies and uninterruptible power supplies (UPS).BLOCK power supplies provide significant power reserves for high switch-on currents thanks to powerful Top Boost and Power Boost technology. The development of our electronic products are extremely robust and provide extraordinary electrical and mechanical strength for demanding industries. Leading edge communications technology for compatibility with your PLC’s and Industrial PC we are ready for your IIoT and Industry 4.0 monitoring and control projects. 40 A battery-powered and capacitive UPS. The new battery-powered UPS provides maximum system availability through intelligent battery management and short charging times, also includes large capacity batteries. Available in 12 V, 24 V, and 48 V configurations and up to 40A for protection from power failure events. Permanent monitoring of the connected batteries ensures that an early warning is emitted when the remaining lifetime is low. Aside from configuration options, the powerful UPS Control configuration software also guarantees an overview of the UPS operating statuses at any time. Electronic circuit breakers protect DC circuits from overcurrent and short circuit with far more precision than traditional line circuit breakers. Multi-channel circuit breakers from the Power Mini and Power Compact series protect up to 8 channels with current limiting characteristics or thermomagnetic characteristics. The modular 1-channel EasyB system solution allows for individual configuration and monitoring. In almost every panel you will also find a DC power supply, if one or several Class 2 circuits are necessary for your application, it was necessary to use a separate power supply per circuit with appropriate certification. 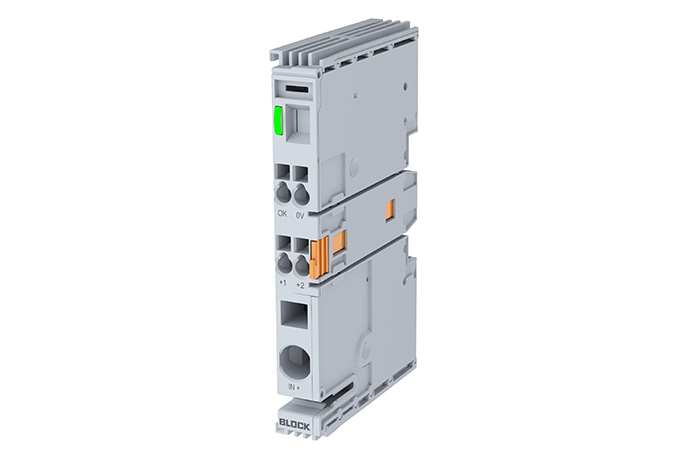 This now can now be waived; the Block PM series are certified to ensure that all outputs comply with the requirements of NEC Class 2 (Chapter 725) without any restrictions. Due to the possibility of communication via PLC or even just by simple signal contacts, the cost-benefit is significantly increased. If the secondary side of a central power supply is spread into multiple circuits, not all of which must comply with the Class 2, the new intelligent EasyB eBreaker is the ideal solution. Fixed and adjustable tripping current with Thermomagnetic or Current Limiting characteristics. Up to 40 channels can be added, which establish both class 2 and regular fused circuits at control voltage level. An EMI filter, or electromagnetic interference filter, is used to prevent interference that’s present on a power line, data line, hard disk drives, AC adapters, and more. Electromagnetic interference with other devices may reduce your system’s performance or lead to collateral damage. An EMI filter will prevent this and allow all your devices to run smoothly and independently without interference. Read below for an outline of products that are offered and contact BLOCK today if you would like to request a document or schedule a consultation. Based in Germany but serving the entire world, Block is a powerful global partner to trade and industry in the field of coiled products for decades. A major player in the electronics sector, Block is noted for their reliability and on-time delivery of essential transformer products used in a wide variety of products and industries. In order to better serve the industries that rely on their products, Block continuously invests in controllable, rapid, and reliable in-house production facilities and combines research, development, and production under a single roof in order to provide the best coiled goods, electronic switch mode power supplies, software development, and cast resin optimization to industries around the world. With this vertical corporate design, Block is able to offer fast customization and product redevelopment services alongside their vast off-the-shelf product lines.